Blade length : 39.6 cm or 15.59 inches. Width at the Kissaki : 1.62 cm or 0.63 inches. Shape : The blade is rather small size. 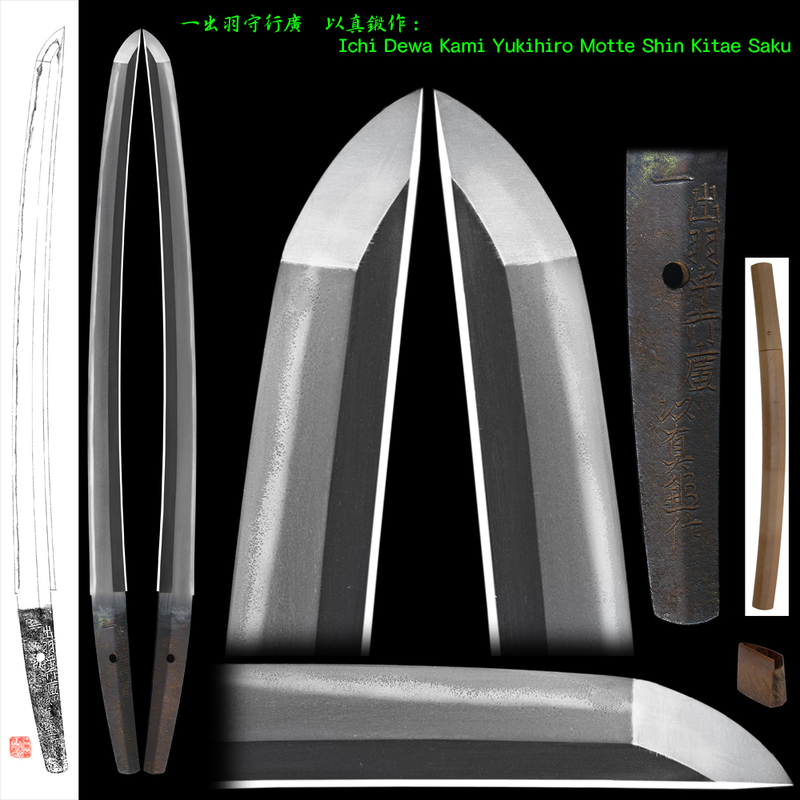 I think the blade was one of the Daisho set wakizashi. Jitetsu :Koitame had well grained with jinie attach like Konuka had. Hamon : Niedeki suguha with noter mixed with rather thick nioikuchi. Boshi is rod shape with small hakikake. the Hize Hashimoto Yoshinobu who was called Kurobei. At Kanei 16th age 22 years, he made a sword for the first time. he got the title of the Dewa Kami. At Keian 3rd, he moved to Nagasaki prefecture in order to study about Holland steal. 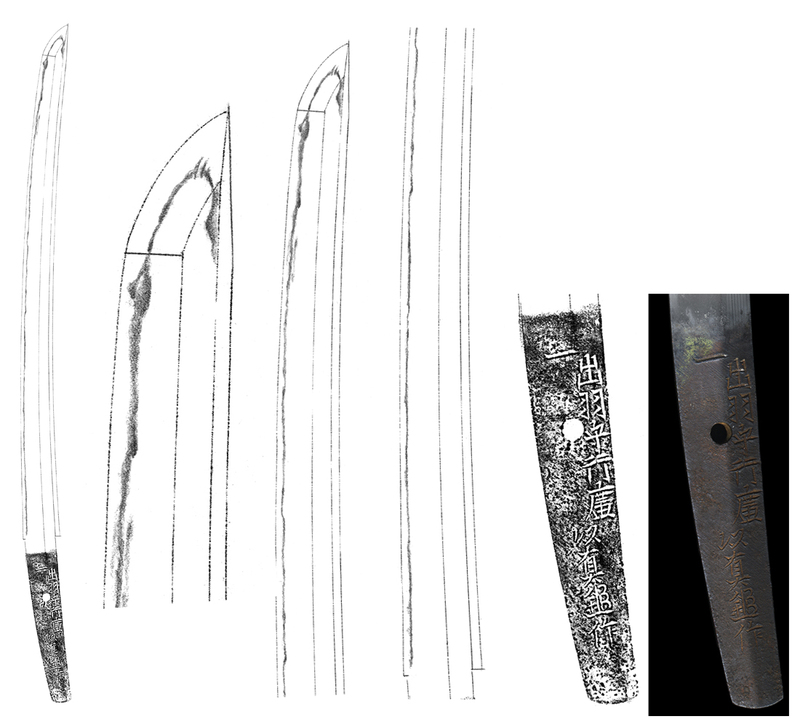 The blade is well known sword maker of Hizen province. The hamon is suguha with noter hamon. I think this wakeizashi was used as Daisho set but departed some years ago. Tsuba :On the oval shaped iron stub, rise us Mimi and wheal of cow carriage and plant are painted by gold color. Fuchikashira :On the shakudo nanako plate, flowers and butterfly are engraved with gold color. Saya : Ther saya, with many lines are painted by black roiro saya. Menuki : On the shakudo plate, flowers are engraved with gold color. Kozuka Kogatana : On the shakudo nanako plate, a clam and fish bag are engraved with gold valor. Wakizashi : Sassyu Jyu Masayoshi/Anei 5 2 Gatsu.